One of the things we firmly believe at Art Guild is that the breadth of experience we gain working on many different types of projects – tradeshows, events, lobbies, museums and retail displays – helps us bring more innovative and effective solutions to all our customers. 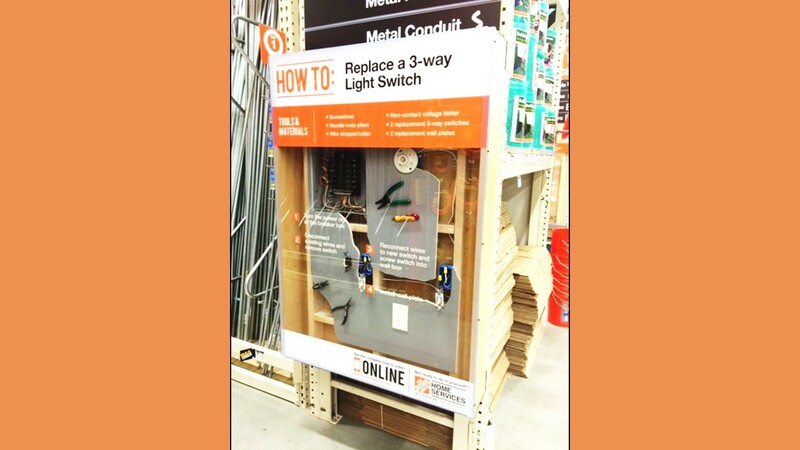 Rarely have we had a chance to prove this as clearly as we did on our most recent project for The Home Depot Store of the Future – a new concept store in Roswell, GA. The overall goal? 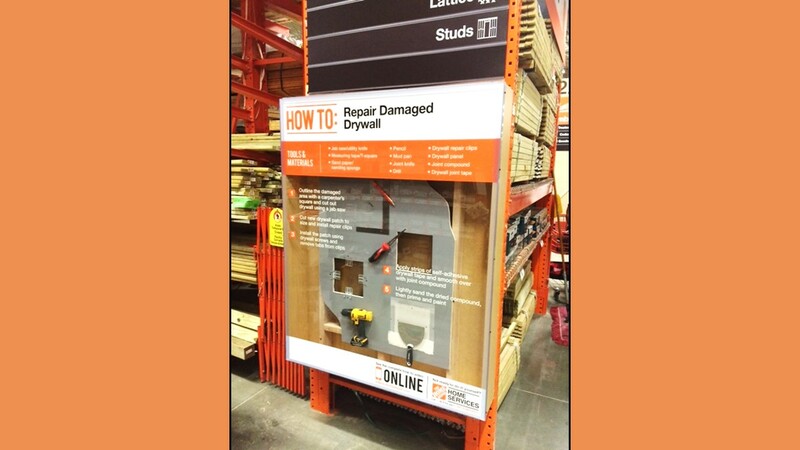 To help The Home Depot pioneer and test a new approach to supporting the growing numbers of DIY’ers who actually enjoy doing home related projects themselves. 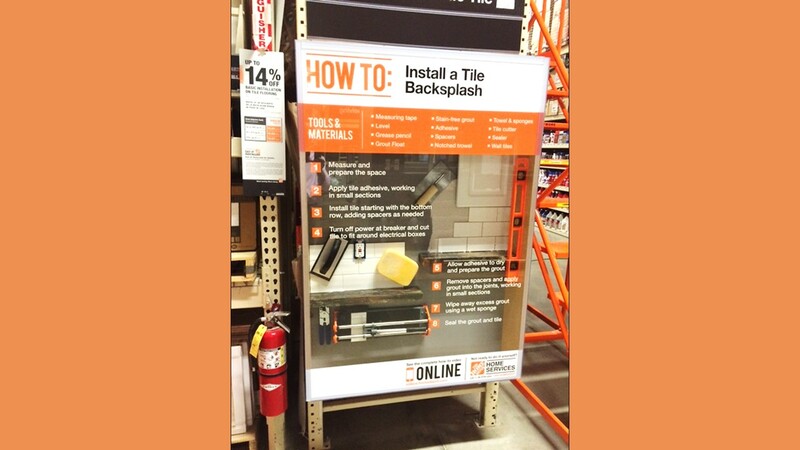 And to help The Home Depot sales associates who have often have to explain things to them. 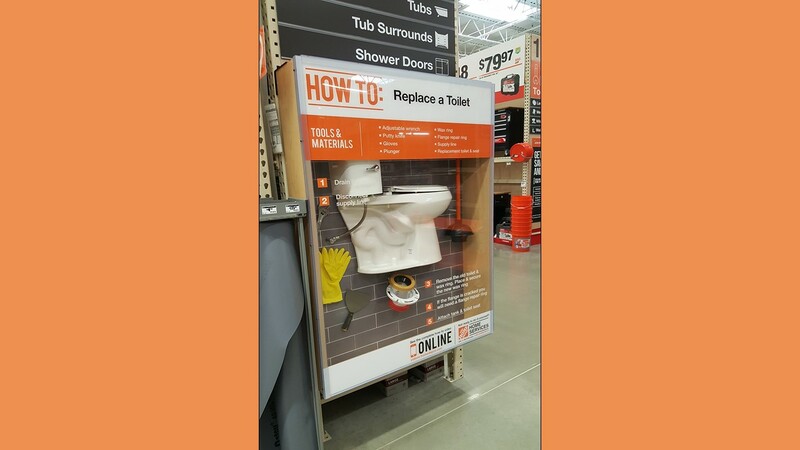 The specific mission; to apply our museum and tradeshow experience to designing 7-educational exhibits for retail – each offering a mini-3D instructional course for a common DIY project – such as how to install drywall, a light switch, a faucet or a toilet. Each exhibit makes it easy to understand both the tools and steps required for each project type. 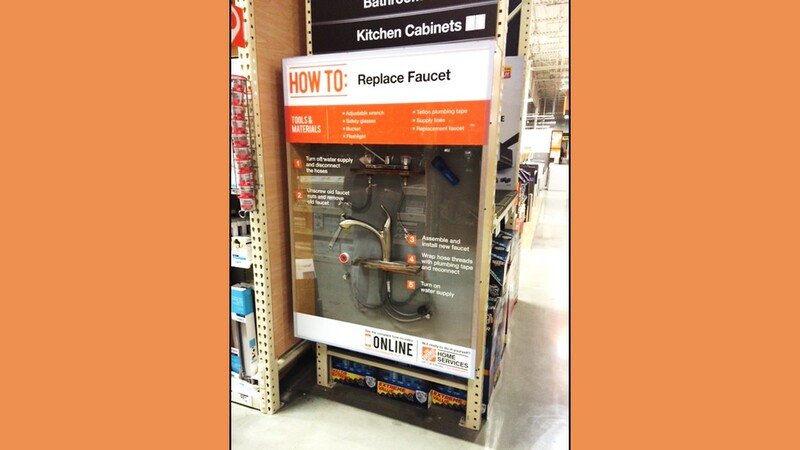 Each is durable and readily slots into existing endcap spaces. You can see five of these exhibits above – or hopefully all of them, sometime soon in your own local store.